Soccer Mommy plays at Reverb Sunday, Oct. 7. Soccer Mommy is Sophie Allison, a Nashville singer/songwriter influenced by the likes of pop stars Avril Lavigne and Taylor Swift, though her music is more easily filed alongside fellow indie singer/songwriter projects Mitski, Waxahatchee and Big Thief. In fact, on her 2018 Fat Possum release, Clean, Allison’s style and voice are reminiscent of ’80s folkie Edie Brickell, and I’d throw early Liz Phair in there as well (someone Allison has opened for recently) except lyrically Allison’s songs are more longing and withdrawn than Phair’s Exile-era, jaded, take-it-or-leave-it love rants. Instead, Allison often comes off lost or left-behind, as if watching as her lover hits on someone else at a party she wasn’t invited to in the first place. Even on indie radio hit “Your Dog,” the modern anti-thesis of the Stooges’ tune, Allison sounds worn out rather than angry. Clean is, indeed, a beauty of a record, but I’m waiting for when Allison’s had enough and returns as a mad-as-hell reincarnation of early PJ Harvey. Sophie Allison: It’s hard to pick just one! One of my favorites that I’ve returned to this week is Yankee Hotel Foxtrot by Wilco. It’s a popular choice for a reason! I really don’t like that F-R-I-E-N-D-S song that is on the radio right now. I don’t know who it’s by, but I hear it all the time. (“FRIENDS” by Marshmello & Anne-Marie — Tim). I like getting to share experiences of traveling and playing music with other people, especially since I really like the guys I tour with. Sharing the bathroom in a hotel is pretty much the worst part. It can be a battle in the mornings! Right now I’m going to just say Malibu so we can keep it user friendly. I always love playing in New York and Boston. I feel comfortable with both of those cities since I lived in NY and my sister lived in Boston and it’s always just a fun time. Probably Liverpool. We showed up right before the set because we missed the ferry and it was just an odd vibe after that. I can at least sort of support myself at this point. I don’t really have another choice since I’m always on the road. It took at least half a year to be able to not be struggling to make it through tours, but sometimes we still struggle through it a bit. I don’t really think I’d like to do anything else. I guess maybe I’d be a poet, but that’s basically what I do now. I’d hate to be an accountant or something like that. I haven’t really heard any to be honest! We played there once (with Jay Som and Stef Chura Sept. 12, 2017, at Reverb — Tim) and it seemed like a nice town, the show was pretty small though and not a ton of people came. 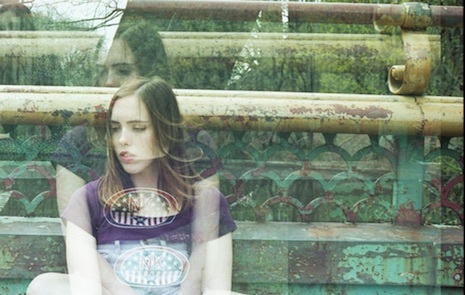 Soccer Mommy plays with Sasami Sunday, Oct. 7, at Reverb Lounge, 6121 Military Ave. Tickets are $12, showtime is 8 p.m. For more information, go to onepercentproductions.com. Tonight Lord Huron headlines a sold out show at Sokol Auditorium. Opening is Brooklyn’s Cut Worms headed by Max Clarke, whose Jagjuwar release Hollow Ground earned a 7.2 rating from Pitchfork. 8 p.m. start time.